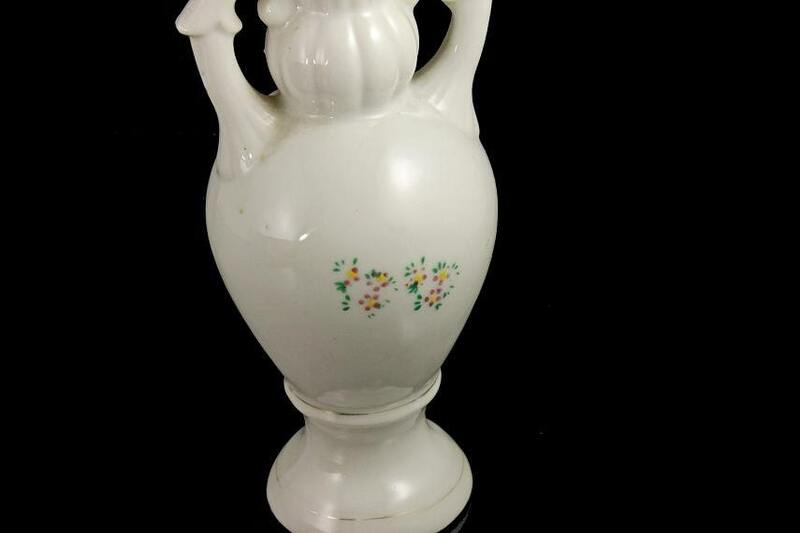 A cute two handled bud vase made in Occupied Japan. 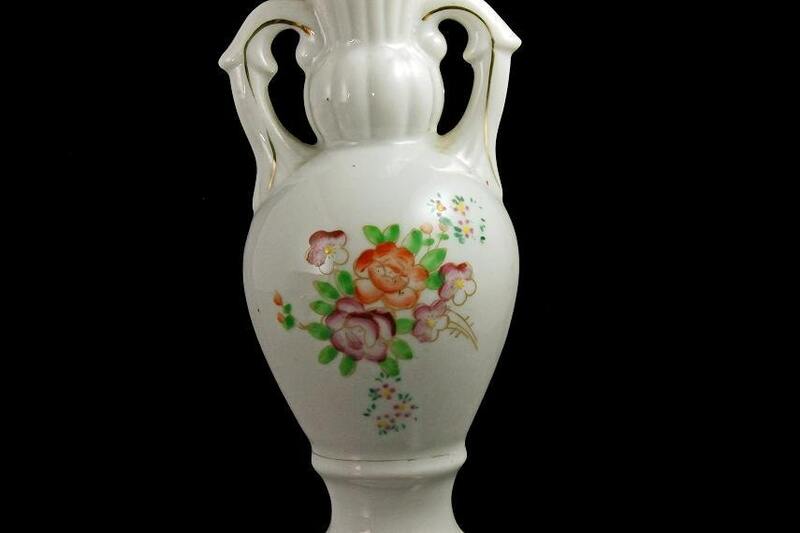 The pattern on this vase is floral and there is gold trim on the rim and handles. 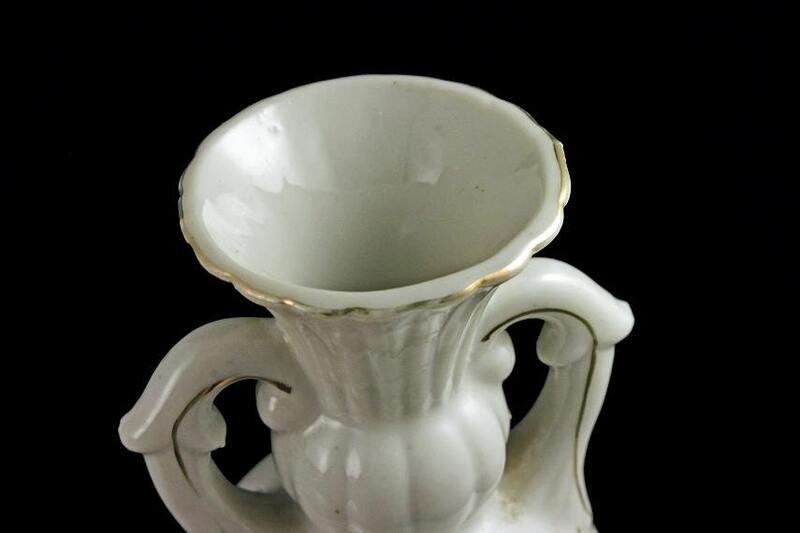 What a delightful small vase to add to a collection or to hold your lovely garden blooms. 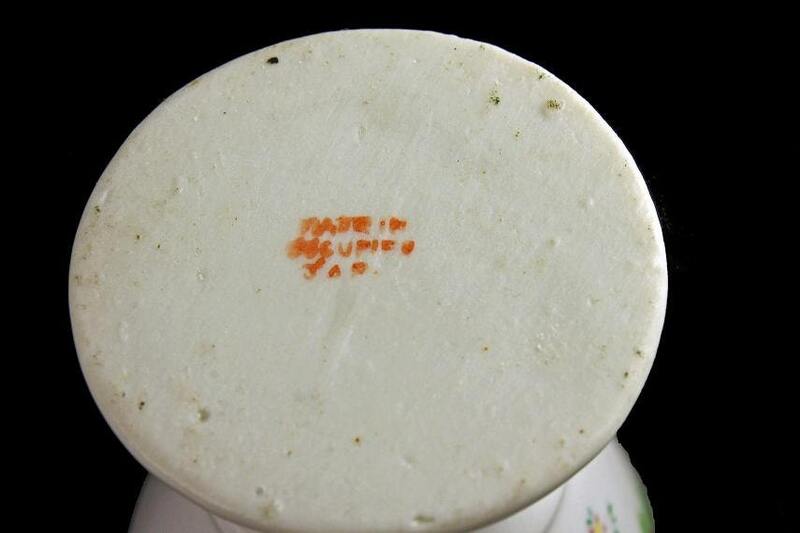 Many items being exported from Japan from 1945 to 1952 were required by law to be marked with the words “Occupied Japan”, or “Made in Occupied Japan”. General Douglas MacArthur started this law to help Japanese people with their post-war economic recovery. This vintage vase is in good condition. The gold on the rim and base has been rubbed almost completely off. There are no cracks, chips, or crazing. 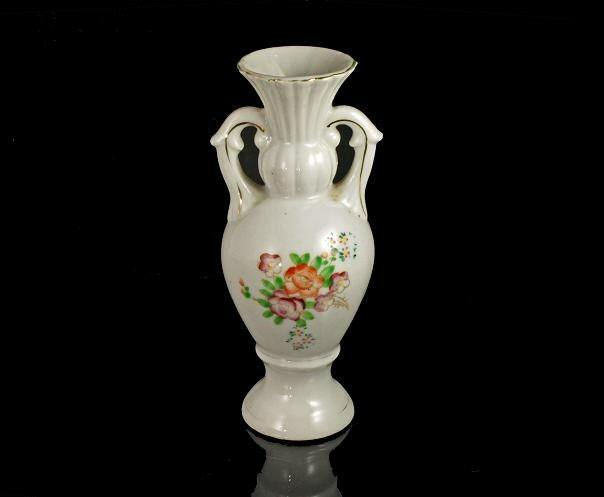 The floral painting on the front and back of the vase are in excellent condition.